The spectacular coastal community of Monarch Beach is in the city of Dana Point and adjacent to Laguna Beach. This upscale waterfront community boasts incredible sunsets, world-class hotels and resort-style living. The Monarch Beach Golf Course is considered one of the best in Southern California. Monarch Beach is named after its most prominent geological feature Monarch Bay—once a breeding ground for the monarch butterfly. Once seen in large masses, the butterflies have all but disappeared from the area because their habitat has been replaced, almost entirely, by the large houses that can be found here. 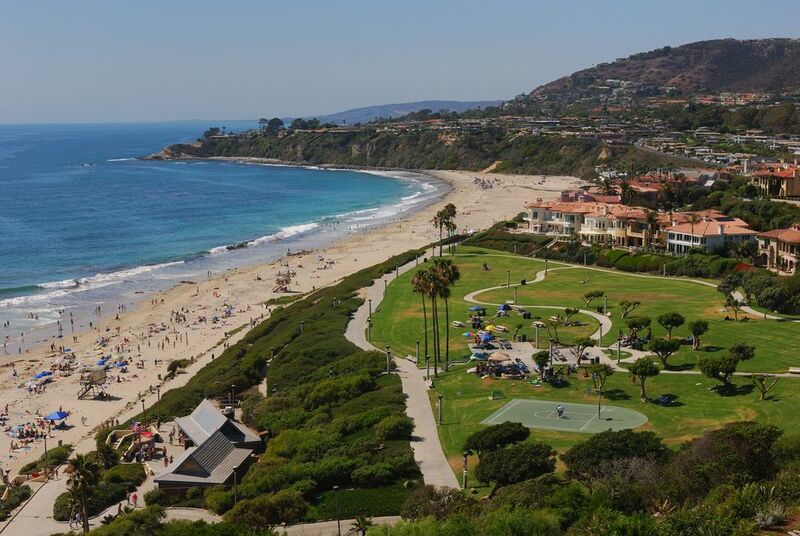 Like the rest of Dana Point, Monarch Beach residents enjoy proximity to the beach, a relatively low-crime rate, top-rated competitive public schools, and a relaxed, comfortable and athletic atmosphere that proliferates within the entire Dana Point community. They are also close to the Dana Point Harbor and the nearby shopping center. Monarch Beach is about a five-minute walk to Salt Creek Beach. It has straight access to Strand Beach and a picnic area. View our selection of available properties in the Monarch Beach area.